529 is a category of plans that provide tax advantages when saving and paying for higher education. Do I have to pick a college today? What if my child wants to attend an out of state college? What if he/she doesn’t attend college? Pre-Paid plans allow the plan holder to pay for tuitions and fees at a designated institution in advance. A Savings Plan is a tax-advantaged vehicle where the funds are used to pay for qualified expenses. When and How should I Start a Plan? As daunting a task of paying for college can be, it should not delay in starting the process. The first step is talking with a trusted advisor who can review your current situation. Whether you have not started a plan or feel you are “Behind” in the process, committing to the first step and “have that discussion” can be very helpful. Our discovery process will help educate, plan and prepare for issues that arise. Once the plan is started, monitoring and reviewing regularly to ensure you stay on track for the commitment you made for your children. Navigating and planning for higher education can be overwhelming but you do not have to do it alone. 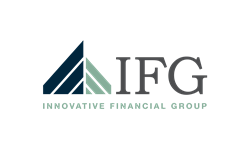 Whether you are a first time parent, single income earner, Innovative Financial Group can help review options, create a workable plan and help you stay on track. Call today for a complimentary conversation.